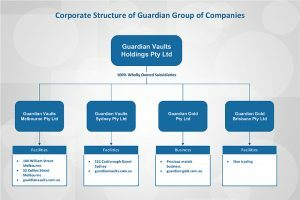 Guardian Vaults Group of Companies has recently completed a corporate restructure to consolidate under one parent entity, Guardian Vaults Holdings Pty Ltd. This is to achieve further corporate efficiencies and establishes the framework for future growth. 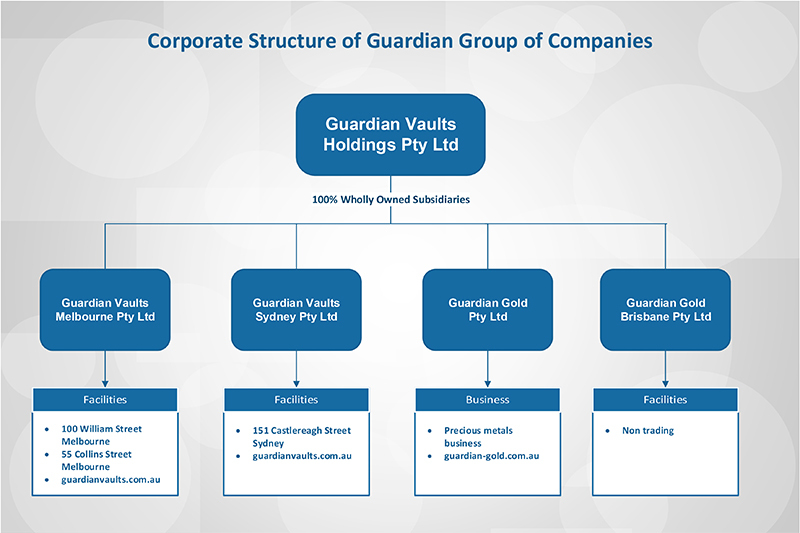 Guardian Vaults Holdings Pty Ltd remains a wholly owned Australian company, independent of any bank or government body, whilst continuing to provide premium services to all clients now and into the future. 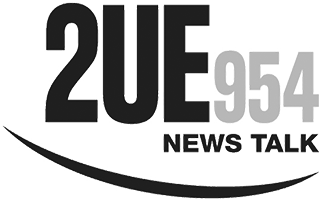 If you have any questions please call the head office in Melbourne on (03) 9606 0588. © 2019 Copyright Guardian Vaults Holdings Pty Ltd. All rights reserved. Please provide your details and we will contact you to discuss your needs. Please provide your details to reserve space at Guardian Vaults.